We celebrated Buddha Day (Hanamatsuri), which marks the birth of Sakyamuni Buddha around 2,500 years ago. Our guest speaker was Barbara Brennan, who shared the truth, pratītya-samutpāda, that all things are interdependent, interconnected, and intricately joined together with one another. You can watch Barbara's Dharma Talk on our YouTube channel or by clicking on the play button below. The hanamido was decorated mostly with flowers made out of recycled materials and with just a handful of real plumeria and greenery. Mahalo to the members who have been making the flowers over the past few weeks, donated the real flowers and greens, and assembled the hanamido on Saturday. 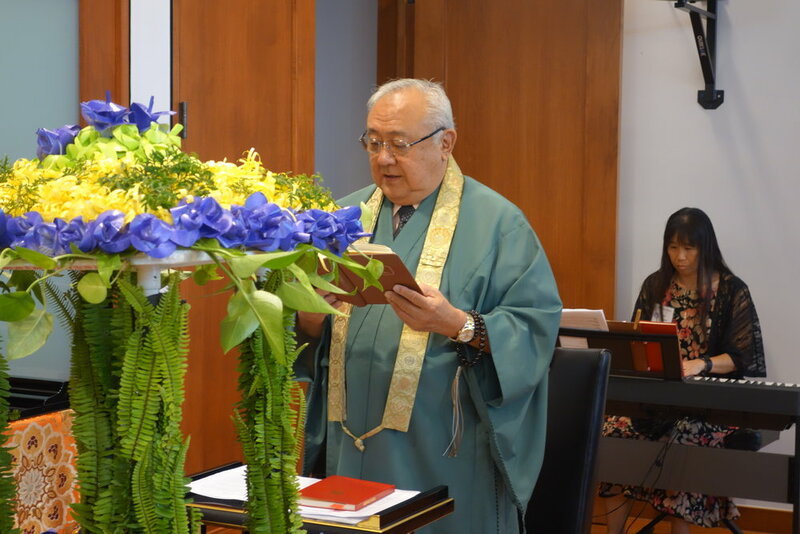 Our Guest Speaker for today's Eshinni Day Service was Rev. Barbara Brennan. On Eshinni Day, we honor Eshinni-sama, the wife of Jodo Shinshu founder Shinran Shonin. Barbara Brennan is originally from Mesa, Arizona. 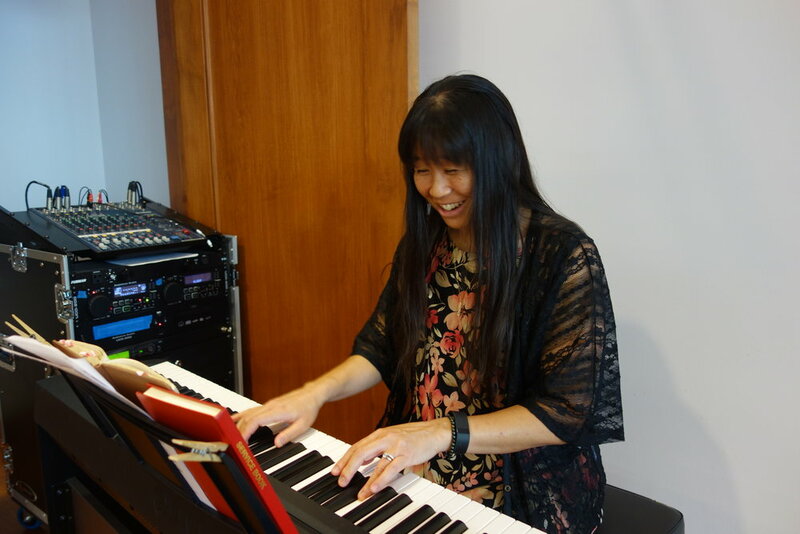 She received her Bachelors degree from the University of Arizona in Asian Studies and a Masters in American Studies from the University of Hawaii. Shereceived certification as a dental hygienist from which she retired in 2010. Barbara grew up in a Jodo Shinshu family and was active in the Arizona Buddhist Temple. She moved to Hawaii almost 50 years ago and joined the Hawaii Betsuin. Barbara is married to Barry Brennan and has two children and two grandsons. In July 2016 she attended the Tokudo training session in Kyoto, Japan which has given her the opportunity to serve the Temple in many new ways. She is on the Kyodan's Compassionate Care committee with a focus on serving the elderly through Project Dana. 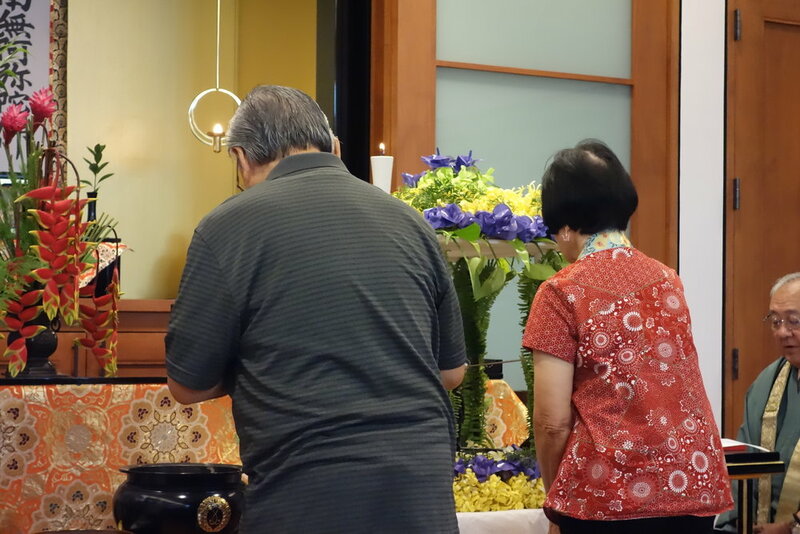 She recently implemented a Buddhist discussion group series at a senior residence in Honolulu. After Tokudo she has enjoyed sharing her history and experiences with others.